The 2015 ~ 2nd annual Metro Gathering MEGA Event! took place at Waterloo Village Historic Site! Everyone is welcome to come join the New Jersey Geocaching community as The Northern New Jersey Cachers, NNJC hosts the 2nd Annual area Metro Gathering Mega Event !! Geocachers from across the entire New England States and beyond are invited to attend the SECOND annual Mega event. We are very proud and excited to hold this years metro gathering events at one of New Jersey's premier historic locations. We have partnered with the New Jersey Division of Parks and Forestry and secured the beautiful and historic Waterloo Village Historic Site to hold the 2015 Metro Gathering Mega event. Come join us and stroll back through history at the old Morris Canal village and see the remnants of the Morris canal and its buildings in various stages of preservation. You will see the once thriving town being restored to it's former glory. With the new historic location at Waterloo Village we will make the 2015 Metro gathering even bigger and better with lots to do! We are currently securing Waterloo Village for the 2016 Mega event, details will follow soon. The New Jersey State DEP DIV of Parks and Forestry State Park Service is issuing a new State wide geocaching policy pertaining to cache placements on their State park properties. There are restrictions and rules which will be implemented as soon as this policy takes effect in early June 2014. Permits must be obtained and will be issued by the individual State Parks. Please keep in mind that geocaching policies are not new, in most other surrounding State Parks permitting policies have been in place for years. New Jersey is following other States lead, some being very restrictive, some costing money, NJ is working with the community to bring the best solution to the NJ State Parks. You are welcome to review the policy draft and if you choose to comment, use the contact us now link which will be available through 6/5/14. Please be constructive, as we are developing good relationship with NJ State to work together. This policy DRAFT was issued today, 5/21/14 to three key individuals at NNJC, CJC & SJ geocaching clubs for review and comments, we will be joining together during this review period and be responding to NJ State with comments and or concerns. UPDATE: 6/13/14 THE POLICY IS STILL UNDER REVIEW AND WILL BE ISSUED AFTER 7/1/14, THEIR NEW FISCAL YEAR. 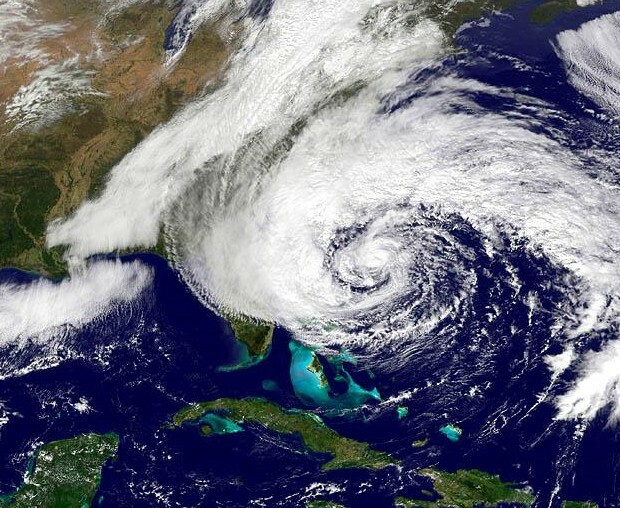 On the evening of October 29, 2012, Hurricane Sandy made landfall in southern New Jersey, with impacts felt across more than a dozen states. The storm battered the East Coast, particularly the densely-populated New York and New Jersey coasts, with heavy rain, strong winds, and record storm surges. During Sandy’s immediate aftermath, more than 23,000 people sought refuge in temporary shelters, and more than 8.5 million customers lost power. The storm flooded numerous roads and tunnels, blocked transportation corridors, and deposited extensive debris along the coastline. Today, 15 months after Hurricane Sandy there are still many parts of NJ you can see damage and many places will never be the same, Hiking trails with many down trees, NJ shore with empty lots where homes once stood, and newly restored boardwalks and piers. This may be a bit late in coming, but we wanted to profile and give a big THANK YOU to one of our Fellow Geocacher's, Trail Cachers from Wyoming who spent a month of tireless hours to help restore Hurricane damaged New Jersey. Assigned to Federal Emergency Management Agency (FEMA), Trail Cachers was called into service to help restore NJ. After weeks of tireless efforts, alone on Thanksgiving with no family around, Trail Cachers spent the day completing the Tour de Cache - NJ County Challenge GCXQ4H. This is a compilation challenge cache. To log the cache, you must find and log at least one cache in each of the 21 New Jersey counties. After living through the devastation, we need to remembers the many crews who came to NJ's aid during the destruction, we applaud these dedicated folks, and our fellow geocacher who made a difference getting the Garden State back in it's feet! Thank you Trail Cachers! "Well I can tell you that just a little over a month ago I was setting at home in Wyoming and the thought of completing this challenge did not cross my mind. The next thing I know is that FEMA was on the line and wanting to send me to New Jersey for hurricane Sandy. Well as luck would have it I snagged a job that allowed me to travel all over the state and I soon discovered that I had most of the counties covered. We were working 7 days a week from daylight until after dark and there was no time to make special trips to grab the needed counties and then Thanksgiving rolled up and we did get the day off and as I have no family here what is a guy supposed to do. Cache of course. So I took off and completed the challenge. I did find it a much easier than when I completed the same challenge for Wyoming and Utah as this is a much smaller state. But I did get to see places that I never would have if not for taking the county tour. Thanks for the challenge and good luck in getting back to normal".